Having lived in South Florida for the past 30 years I am constantly questioned as to what time of the year is the best to visit the many national parks and wildlife management areas that have become so popular with visitors from all over the world. Normally my answer would be anytime you can get here is a great time to visit but then I have to question them on what activities they are coming for. Between the coral reefs, the Florida Everglades and a host of other venues your activities can range from incredible wildlife photography safaris to scuba diving or snorkeling in the fabulous Florida Keys or hunting and camping trips in areas rich with wildlife. If you know what you want to do once you get here it will be a lot easy to decide on what time of year you should come. Floridians claim to have two seasons, the wet season and the dry season, and each has its own unique activities to offer. The rainy season in South Florida usually starts around the end of May and continues for 5-6 months until the around end of November, and you can take it from me, its not always fund to have to chew the air before you swallow it! The air is hot, thick and very humid. During this period Florida accumulates close to 70% of its total rainfall that can be between 35-45 inches of rainfall. This is the perfect time for those who love the ocean to visit some of the parks catering to snorkeling and undersea adventures. John Pennekamp Coral Reef State Park located at Mile Marker 102 of the Overseas Highway in Key Largo; one of the upper Keys is only about an hour south of Miami and a favorite destination of those who want to jump on one of the many snorkeling and Scuba Diving boats for a visit to the warm colorful reefs. Biscayne National Park that is closer to Miami, and the Dry Tortugas, accessible from Key West are also great for those inclined to a water adventure. With the Summer months, the water tends to be a bit clearer, the seas a bit calmer and a bit warmer averaging in the low to mid 80’s. During the rainy season ocean activities are a bit more comfortable as you can minimize your encounters with roving bands of mosquitoes. Boat tours of the Everglades at Everglades National Park and Flamingo are also very enjoyable and a great way for the family to stay cool and not venture too far away from Miami or Fort Lauderdale. Substantial amounts of rainfall have a profound effect on the wildlife in areas of the Everglades such as Big Cypress National Park located west of Miami and Fort Lauderdale. The high rainfall in turn causes higher water levels that allow wildlife such as the American Alligator, various Turtles and other species of fish that they feed on, to scatter over an increasing larger area of the great swamp. For this reason those interest in Photography may have to cover more ground and have a slightly more difficult time getting pictures of wading birds, Deer, Turkey, Black Bear and other wildlife common in the Florida Everglades. For those that are interested in Hiking and camping, the heat and swarms of Mosquitoes can make this time of year a bit more difficult and uncomfortable, and afternoon thunderstorms are almost a guarantee, but provide for a very green landscape with a countless number of plants and flowers. Did we mention the Mosquitoes could be unbearable this time of year? The Dry season in South Florida is by far the busiest time of the year, as not only the Snow Birds (as the season residents of Florida are often called) return but the migrating hordes of birds making their way to their wintering grounds brings bird watching enthusiasts from all over the world to Florida’s National Parks. Birders and wildlife photographers take advantage of decreasing water levels, which have the opposite effect from the rainy season. Less available water tends to cause birds, animals and fish to congregate in specific areas where the water levels are higher such as canals used for Florida’s water management system or ponds caused by the falling water levels. It is in these areas that wildlife will be the most plentiful and provide an outstanding opportunity for wildlife photography and Bird watching. It is no wonder that Florida’s dry season between December and March brings with it the majority of visitors to the Florida Everglades and Big Cypress National Park. It should be noted that it is at this time that hotels, motels and campgrounds are also the busiest and can command some high fees. Advance reservations are definitely suggested. Most of the same activities that are available during the rainy season are also available during the dryer months however the swarms of Mosquitoes will be more tolerable. The cooler temperatures make it easier to navigate the many trails in South Florida’s parks and one of my personal favorites is an area known as Shark Valley, Located about 70 miles east of Naples on US 41 if traveling from the west coast or about 25 miles west of the Florida Turnpike to the east. This 15 miles looped road is a favorite of bike riding enthusiasts and wildlife photographers as the paved loop is easy to navigate with birds and wildlife lining the bordering canals within feet of the road. It is very common to see large American Alligators sunning themselves as if posing for a great picture. The park also has a wonderful guided tour via tram complete with guide pointing out the many things that an untrained eye may miss. Whether the rainy season or dry season is the right time of year to visit South Florida’s incredible parks depends entirely what your goals are. Anything you might require such as boats, kayaks, bicycles or snorkeling equipment are easily rented at any time of the year, but if you take from a 30 year resident of the area who loves both seasons, I feel the rainy season might be better for water sports and snorkeling, and the dry season for wildlife photography and hiking. But the best time of year to visit is any time you can get away and leave your troubles behind! » Hiking, Travel » Best times to visit South Florida; Wet or Dry Season? 5 Responses to Best times to visit South Florida; Wet or Dry Season? Great Article for newbies wanting to get outdoors. I live in Alaska and am planning a trip to hike the Florida Trail and this gives me a great start. Thanks! Come on up to the Great White North and I’ll show you around! First of all thanks for the detailed post on visiting Florida. I’ve been searching the internet with not much luck on a question about the best time of year to photograph beaches areas and cities such as Fort Lauderdale and Miami. I intend to visit in early Dec and looking for clear blue sky days vs the hazy skies I see in so many pictures. Would you know if I could expect to see something like this in Dec or is it just hit and miss? Thanks for any advice you could provide. Once you get past November it cools down a bit and you don’t get nearly as many afternoon storms. The skies are clear and the clouds are much higher. The beaches tend to have more tourists than in the summer months and can make it a chore to find those beaches that are not packed. Don’t limit yourself to Ft. Lauderdale and Miami, if you drive another hour or so north, the beaches are beautiful and the gulf stream is alot closer so the water color at times can be breathtaking. 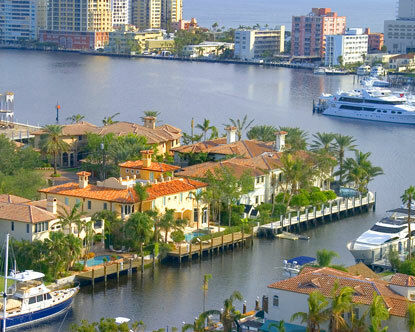 Scenes such as you describe are seen everywhere in South Florida. But, if you want to get cruise ships in the pic, MIami and Ft. Laud are your best bets. But yes, in Dec, the rain definately diminishes. Really nice post.Thank you so much for sharing such a nice and detailed post about Florida. I just love this state a lot specially Miami.I think the best time to visit Miami is from January to April. The weather is typically dry but not harsh.so this will be a great season to visit Miami. I agree! Its my favorite time for hiking and biking in the sunshine state and the mosquitoes are at a minimum.